On the heels of Cobra Kai, which arguably marked the first breakthrough original series from YouTube, the video giant is hoping for another smash with Liza On Demand. 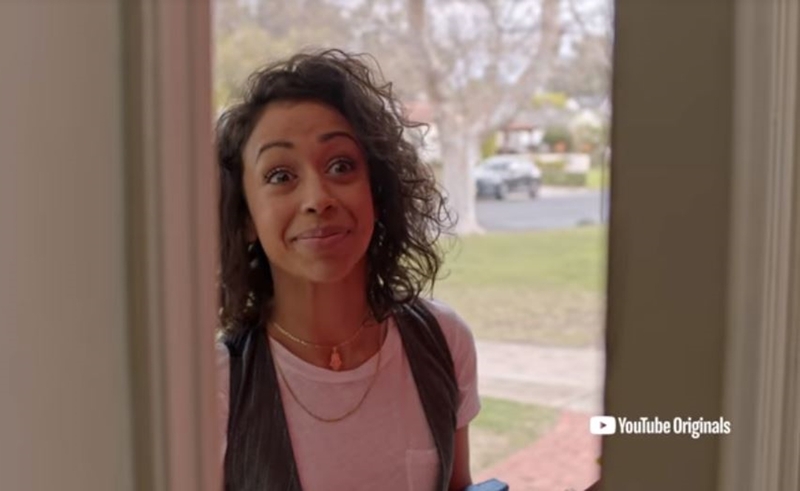 The eight-episode, half-hour comedy, which bows on June 27 on YouTube Premium, stars digital native Liza Koshy, who rose to fame on Vine and now counts one of the most wildly successful channels on all of YouTube with nearly 15 million subscribers and 1.5 billion lifetime views. And while that channel has remained relatively dormant for the past several months, as Koshy has been shooting Liza On Demand and dealing with personal matters, she shared the trailer for the single camera series there this afternoon. On Liza On Demand — which was produced by Above Average, a digital a subsidiary of Lorne Michaels’ Broadway Video — Koshy will take on various gigs, tasks, and odd jobs in order to become an elite tasker in today’s gig economy. She will be joined by co-stars Kimiko Glenn (Orange Is The New Black) and Travis Coles (Superstore), who play her supportive and distracting roommates.